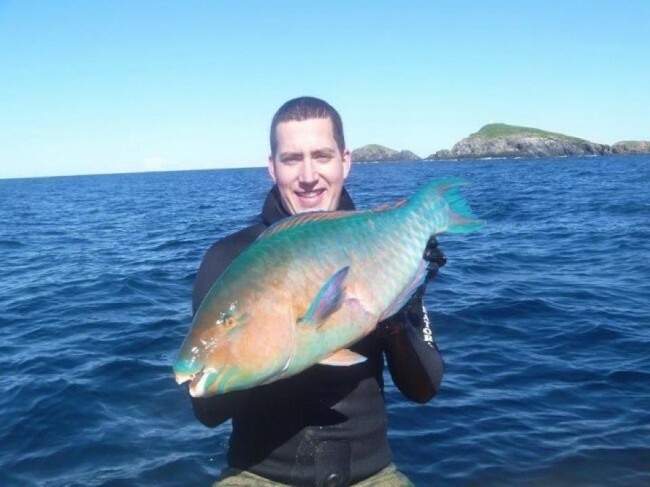 It has been another big week in the BIG 5 online spearfishing competition. With only four and a half months to go, competitors are finally realising that the weight of the species is all but irrelevant in this competition, and a heavy emphasis is placed on getting as many species as possible, rather than a couple of big species. For example, you can get 300 points per species, but only 10 points per kilo! So with this realisation has come a flood of modest entries that has put those spearos in some of the top positions to share in over $15,000 worth of prizes. BIG 5 Fish Weigh-ins Long-time first place competitor, Trent Bailey, has been pushed off the throne for now by Brisbane spearo, Ian Brookes. Ian weighed in two great fish this week including a 10kg Wahoo and a 7.4kg Jobfish. On top of his Cobia and Mackerel weighed in previously, his now 4 species have put him in FIRST place OVERALL for the Big 5 competition! 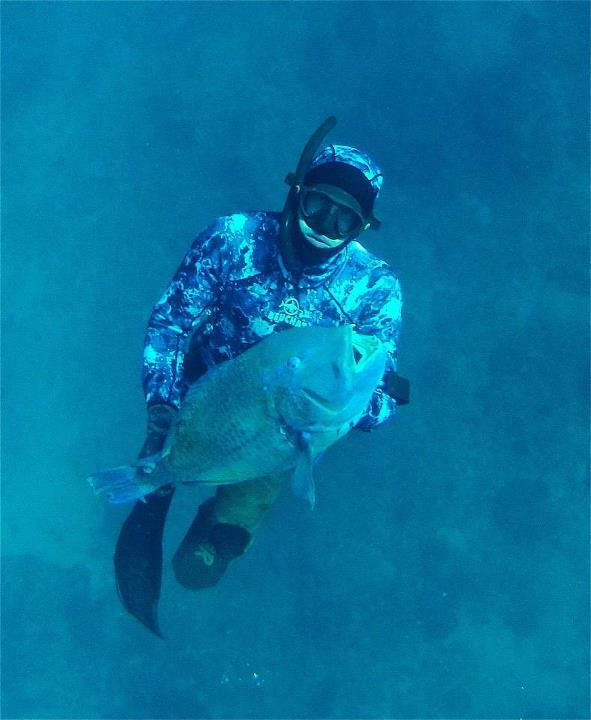 Ian currently stands to win the grand prize of a charter tip off Cairns with GBR Bluewater Charters, valued at over $2,000, as well as spearguns, DiveR fins, wetsuits, GoPro2 Cameras and MORE. Think you could get more than 4 species and take out first place? Well start weighing your fish in now! Mangrove Jack, Parrotfish, Trevally, Mackerel, Cobia, Kingfish, Amberjack, Tuskfish... the list of species goes on and on. Simply take a photo of your fish on the scales, with proof of the date next to it (your dive watch, a newspaper of phone) and post the picture on our wall and you could win. It's that easy! This week has also seen a new competitor enter the scoreboard with some great fish, as well as photos for the photo competition (prize: GoPro2). Aaron (Woody) Falls has entered an 8.9kg Blackspot Tuskfish and 2kg Mangrove Jack which puts him in FIRST PLACE for the Reef 5 competition. With a top of the range Speargun up for grabs for this category, we think some of our readers should start weighing their fish in now to try to take this great prize home. Aaron has also weighed in an 8.9kg Spanish Mackerel. All up, his 3 species have put him in 6th place OVERALL for the competition. Can you beat that? For the third time in as many weeks, the Biggest Crayfish category of the online spearfishing competition has received a new first place competitor. 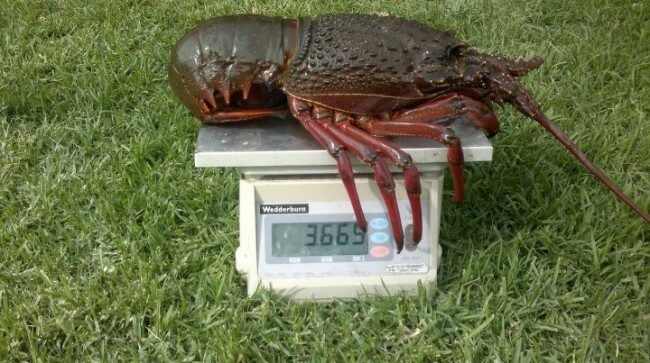 Peter Greed has beat the previous biggest Cray of 3.5kg with his 3.65kg Southern Rock Lobster. Take a nice photo of your Big 5 fish, weigh the fish in, and then post the nice photo of it on our wall and you could win a GoPro2 -easy! There's also no limit on the number of times that you can enter the photo competition. 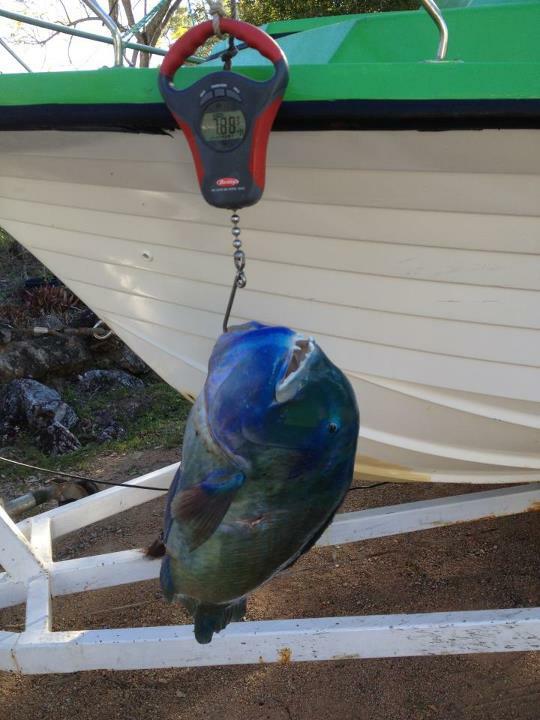 Aaron has entered a great shot of his Blackspot Tuskfish that he weighed in last week. 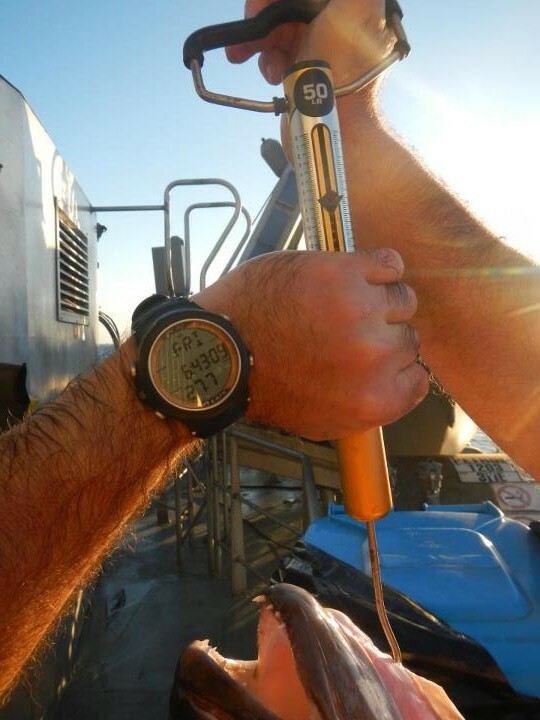 You can weigh your fish in simply by taking a photo of the fish on some scales, with your dive watch, phone or a newspaper next to it as proof of the date. Post the picture/s on the Adreno Spearfishing facebook wall and you will be in the running to share in over $15,000 worth of prizes from great brands and businesses like GBR Bluewater Charters, DiveR fins, Riffe, Beuchat, GoPro2, Rob Allen and much much more. With the competition running until the end of the year there is still plenty of time for YOU to be the Adreno BIG 5 2012 Champion. Good luck!